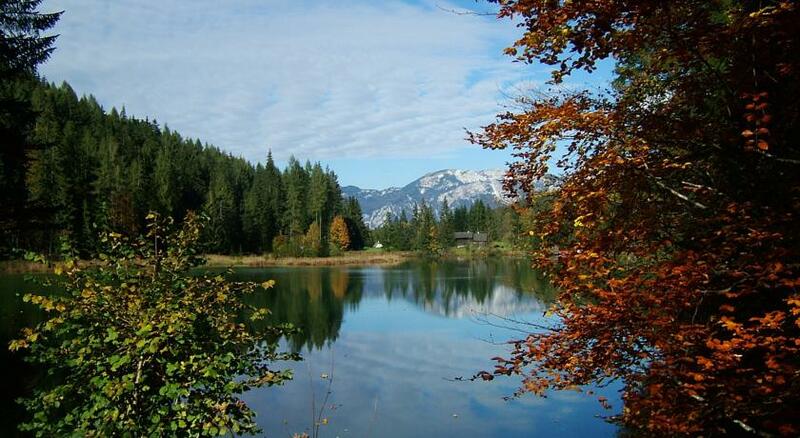 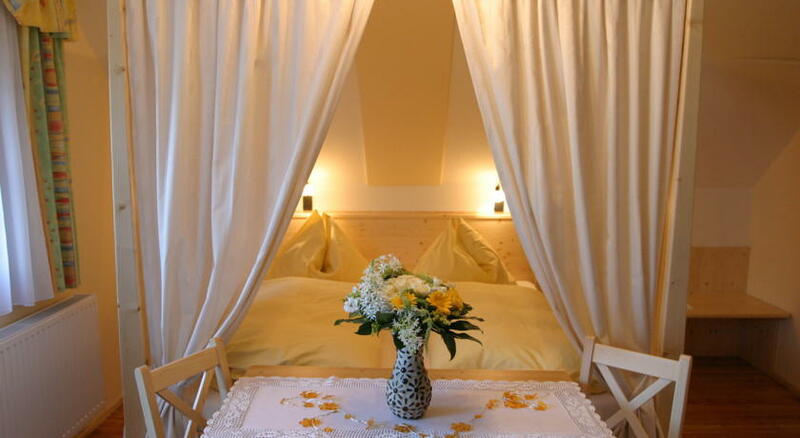 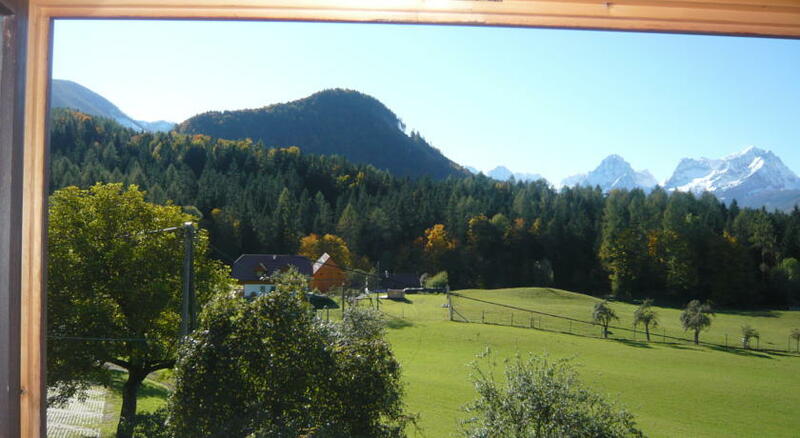 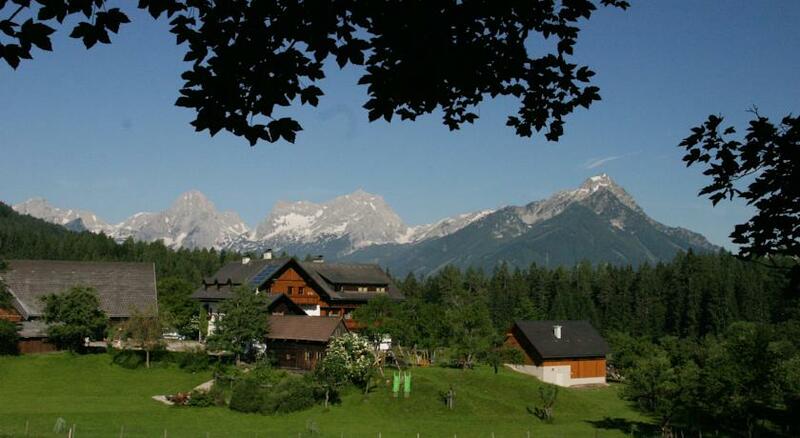 This organic farm stay is just outside the little village of Vorderstoder in the Upper Austrian Alps, and near to the well known Kalkalpen National Park. 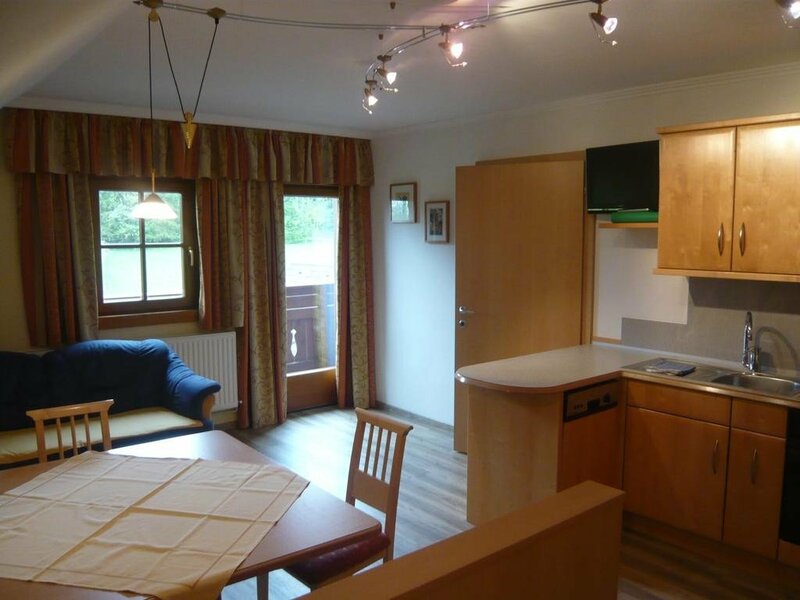 They have bright, clean and modern self catering apartments at the farmhouse and there’s a lot to see and do, on the farm and in the surrounding area. 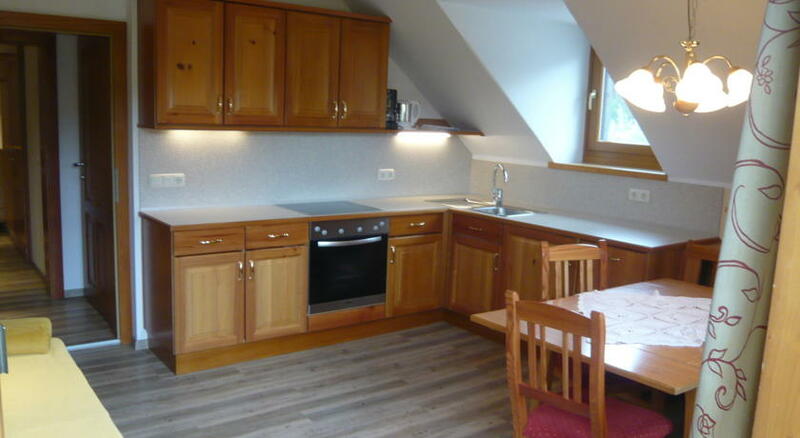 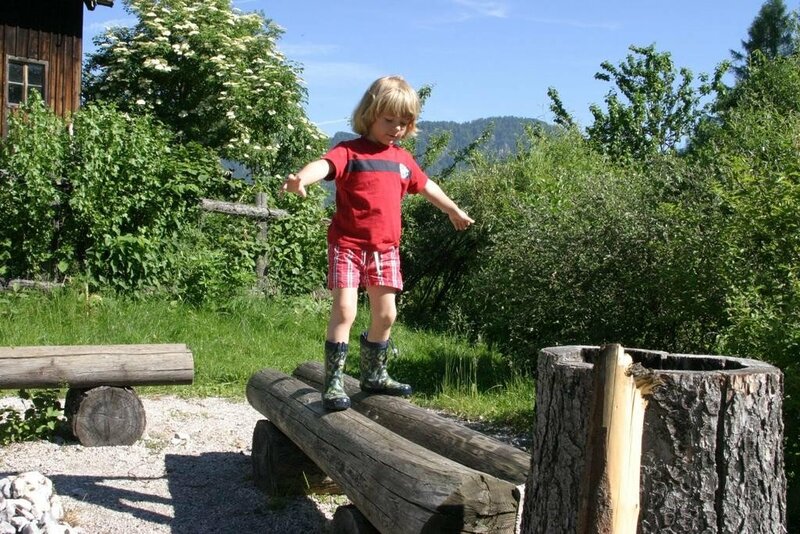 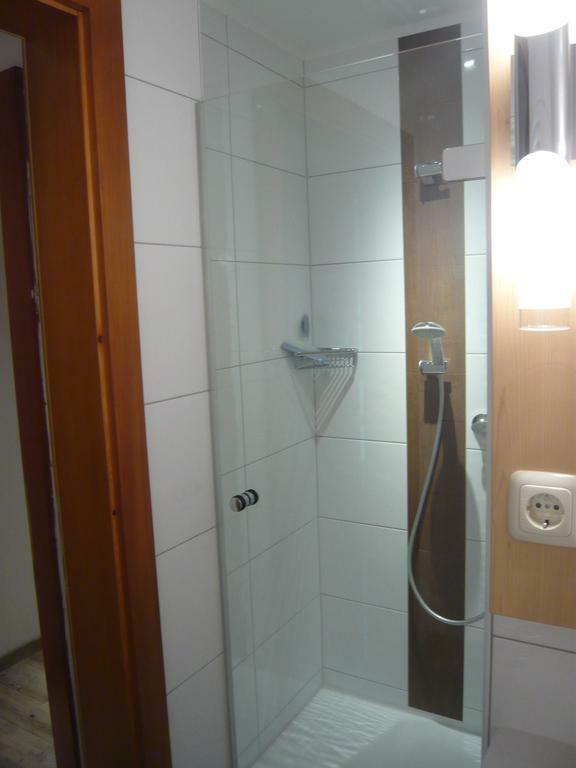 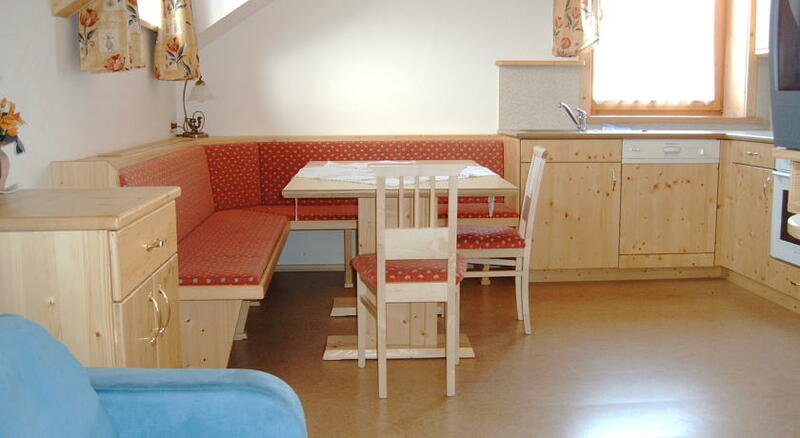 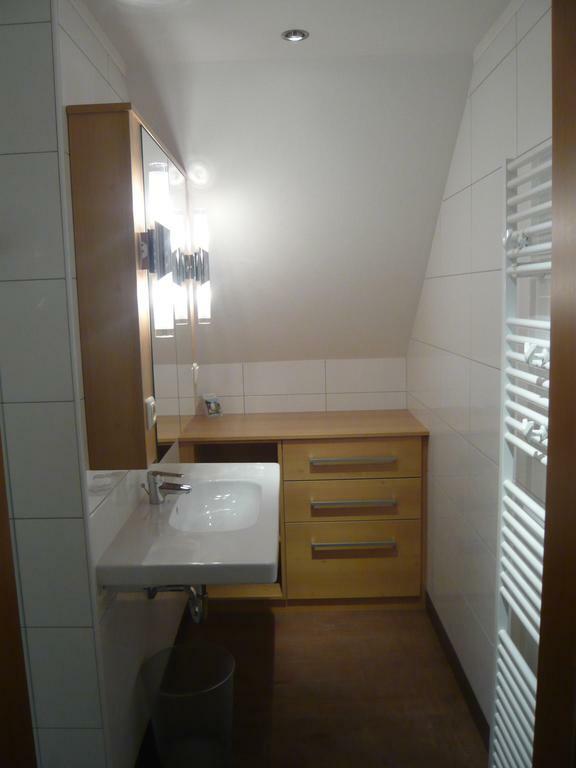 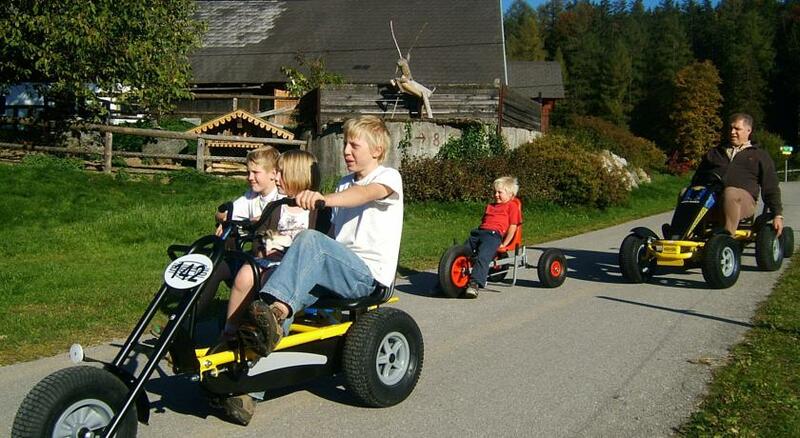 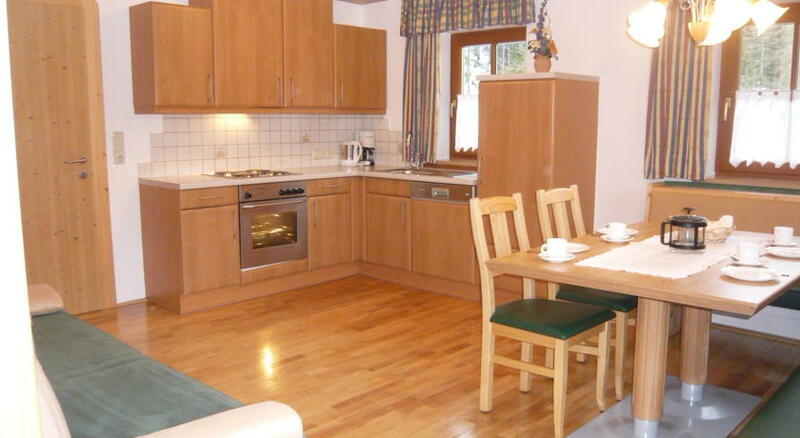 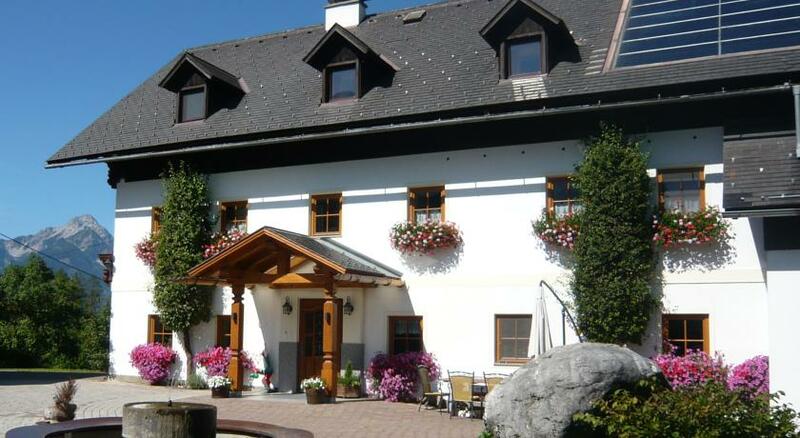 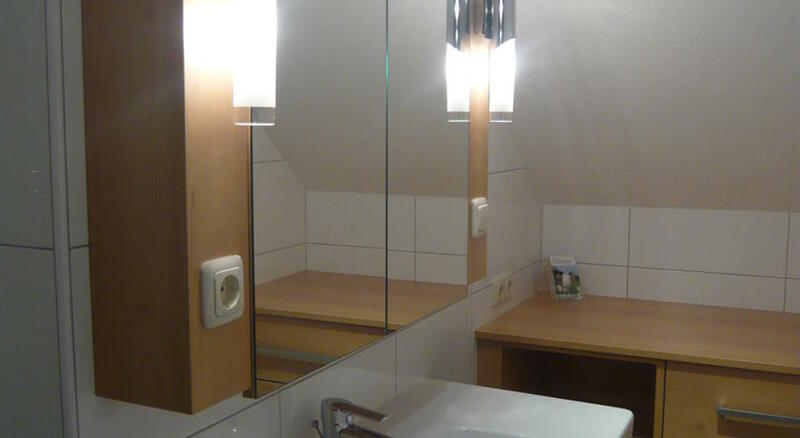 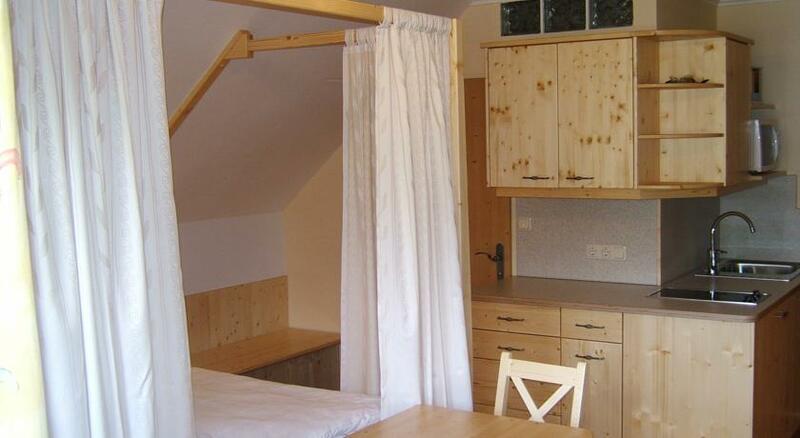 The have a choice of very nice apartments at Familienbauernhof Grossgrub, to sleep up to two adults and three children. 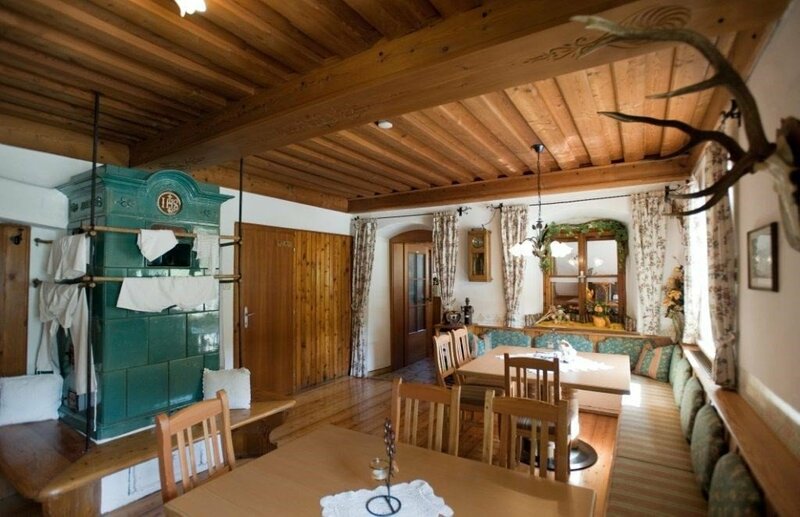 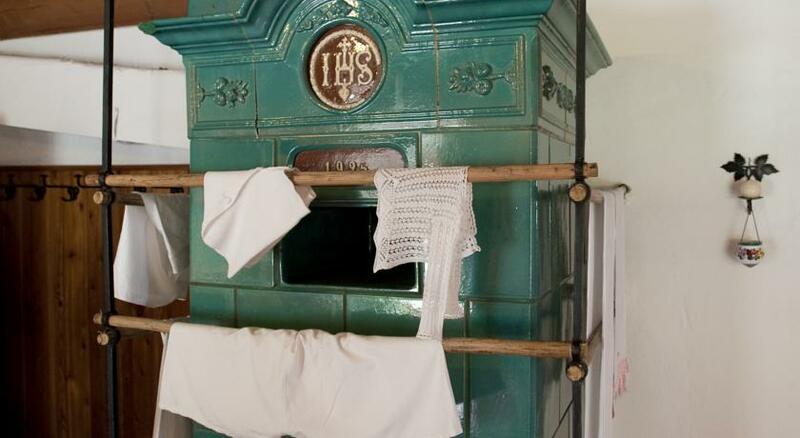 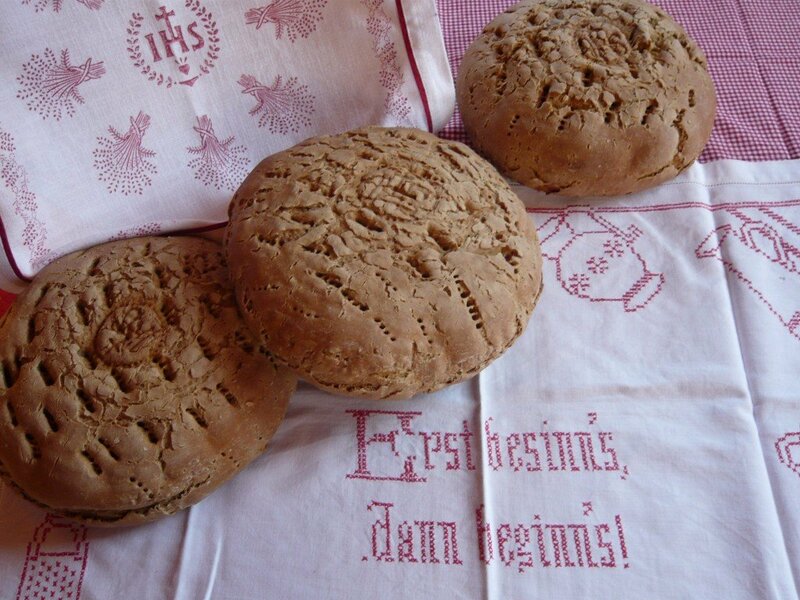 They are all quite newly decorated, but very much in keeping with that classic Alpine rustic style, i.e. 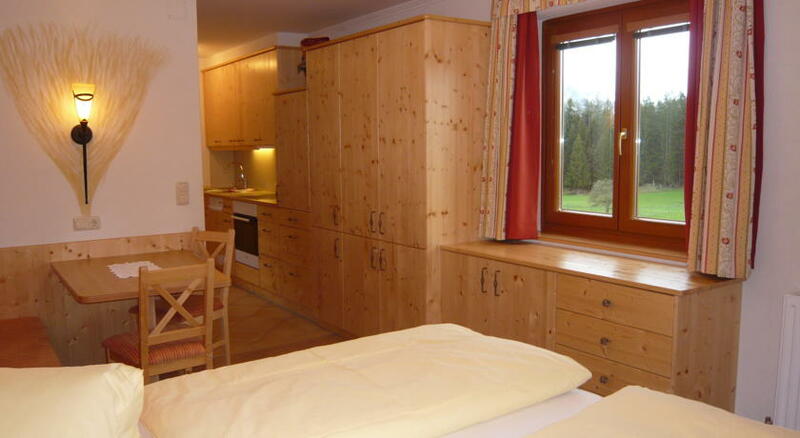 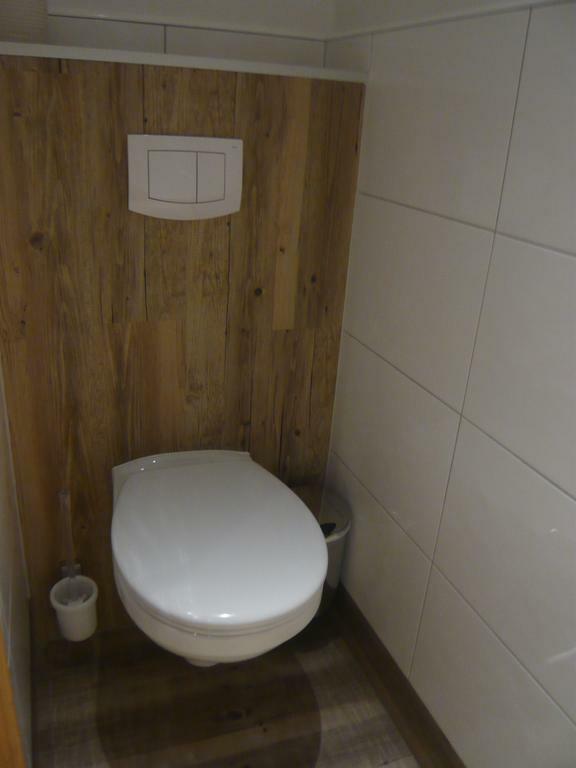 with traditional looking wooden panels and furniture everywhere. 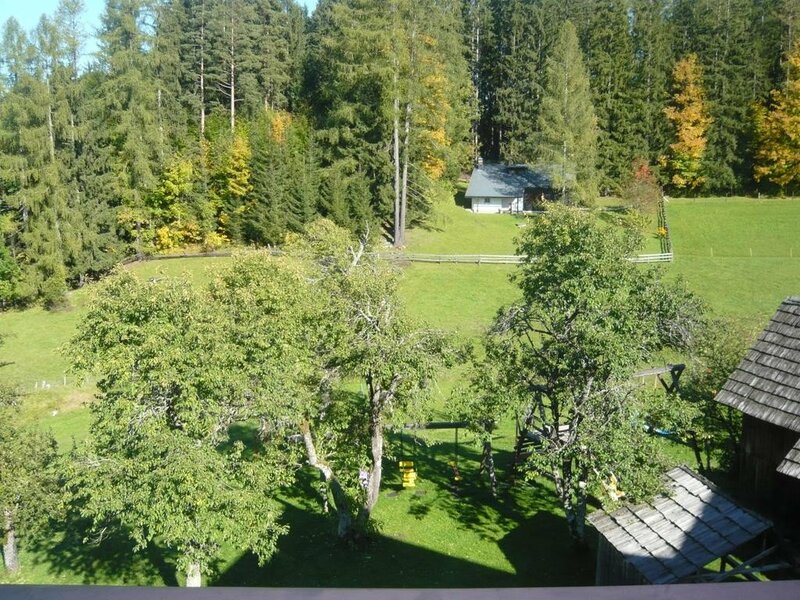 They all also have a balcony or at least some place from where to enjoy the lovely views. 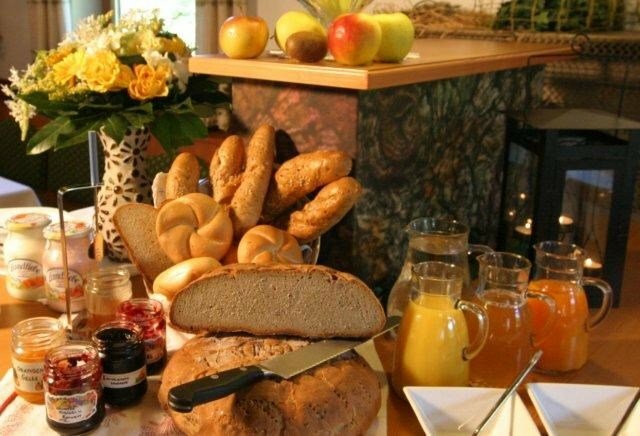 The accommodation is self catering and you’ll have a good, fully equipped kitchen at your disposal, but you can also order a very fine breakfast to start the day with if you need. 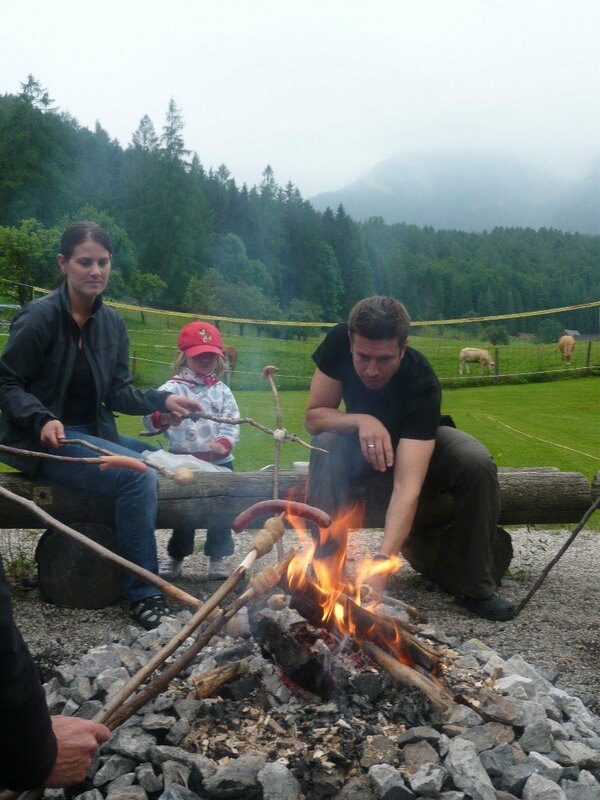 There are also barbecue facilities outside and the owners organize sociable barbecue evenings over the summer months. 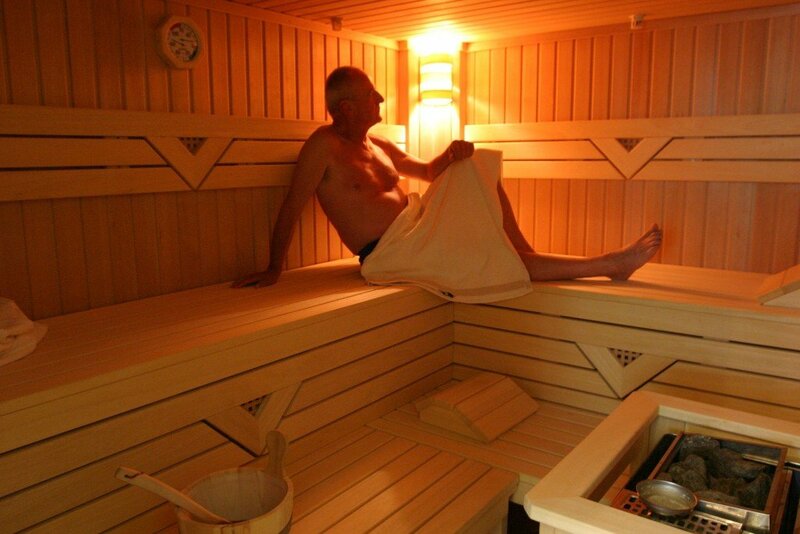 The spa area has a nice stone sauna, an infrared cabin and a steam bath. 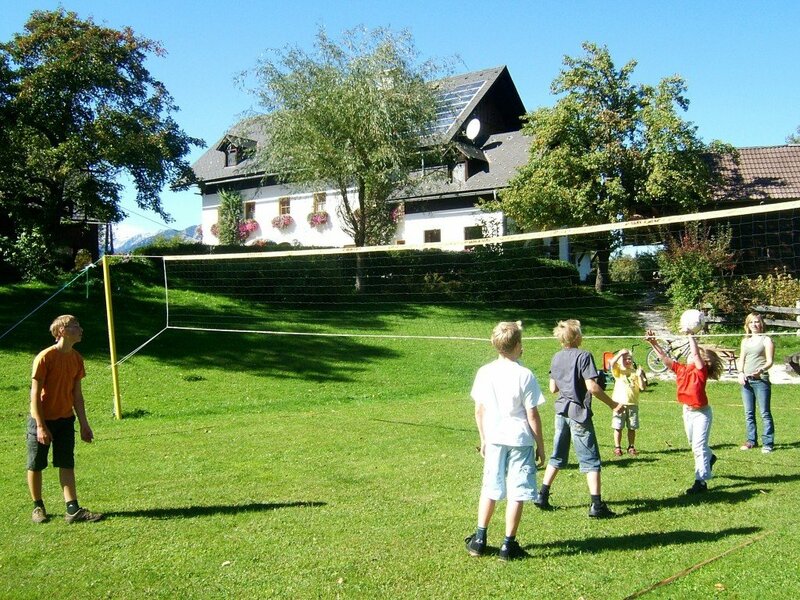 There is also a children’s playroom and a playground in the garden, so they will be well entertained, and adults too can enjoy things like volleyball, table tennis, football and even go karting in summer. 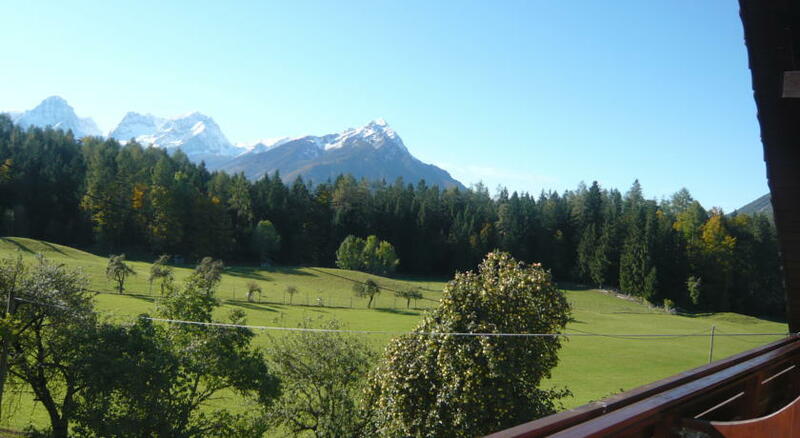 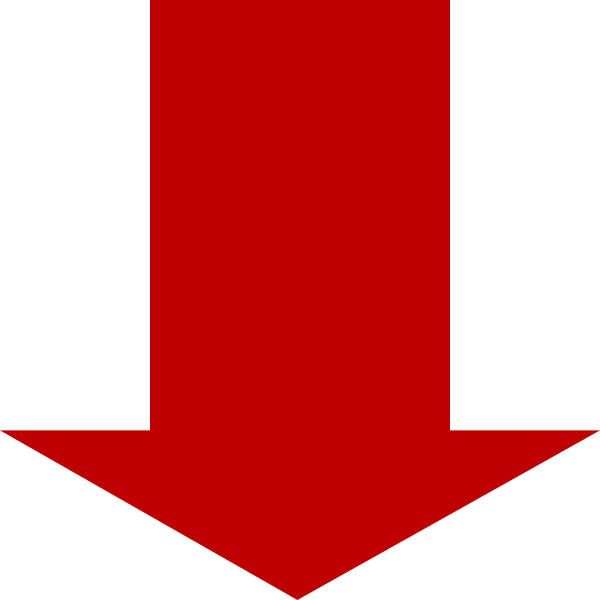 While in winter; cross country skiing, snowshoeing, sledding and tobogganing. 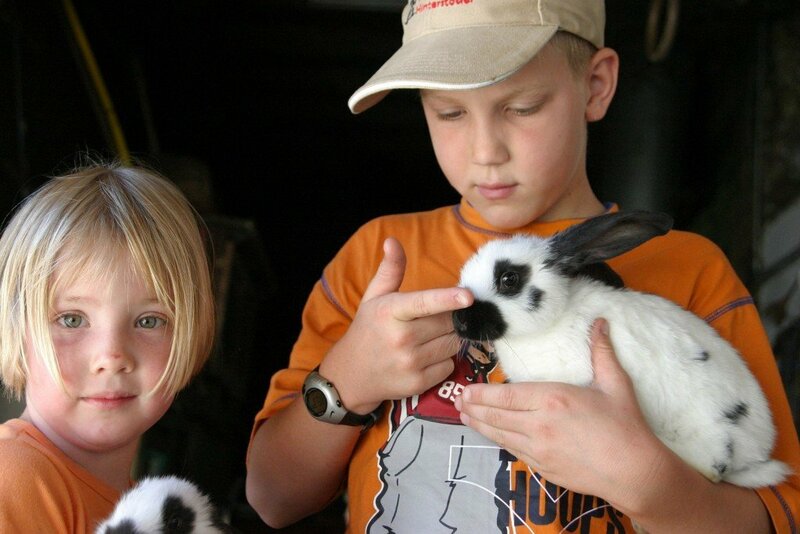 You can also wander the farm and meet the cattle, goats and hens which call it home. 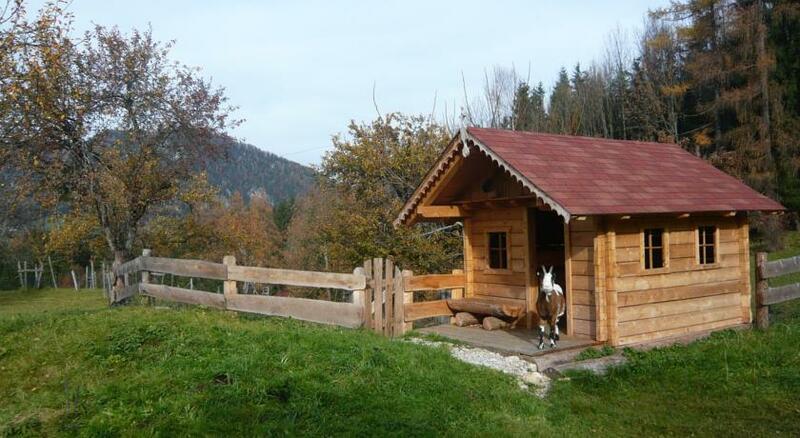 Hiking and mountain bike trails are all around this area too and just steps away from the farm. 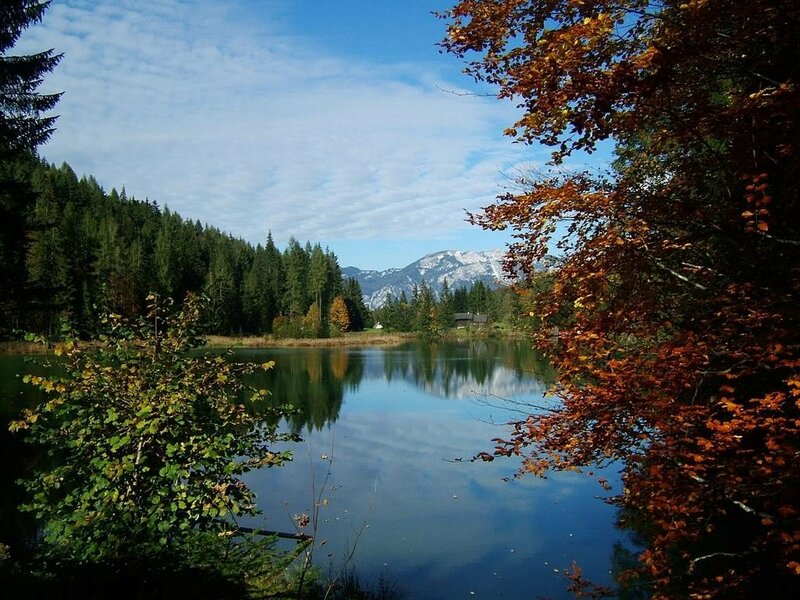 If you walk in the right direction you’ll also find a nice swimming lake just half a kilometre away, the friendly farm owners can point you in the right direction for that and other sights in the area. 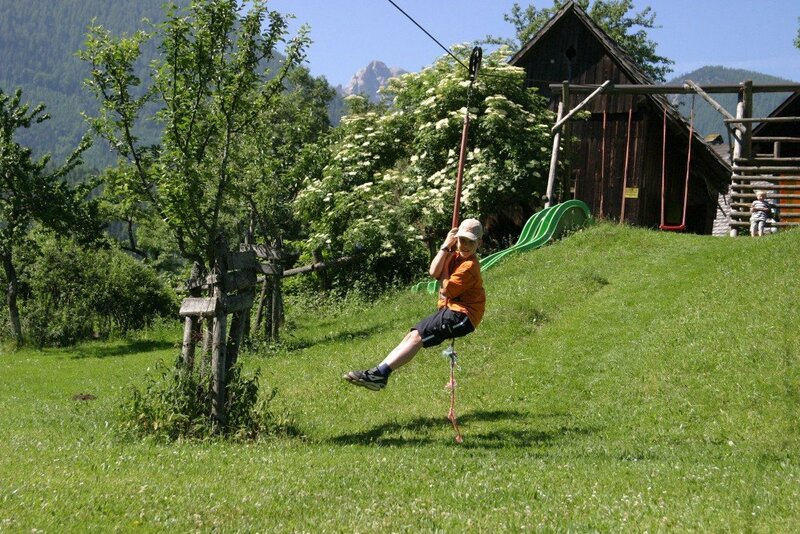 The cross-country ski run and the toboggan run are also right outside the farm, and they have toboggans which you can use free of charge. 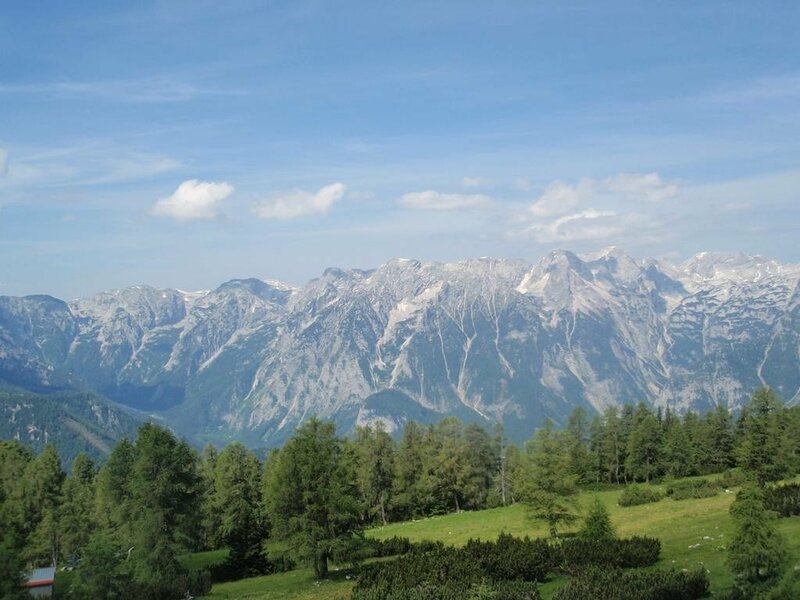 In terms of actual ski resorts the nearest is the Hinterstoder ski area, 6 km away while the Wurzeralm ski area is around 15 km, with a ski shuttle bus stop right outside the farm.